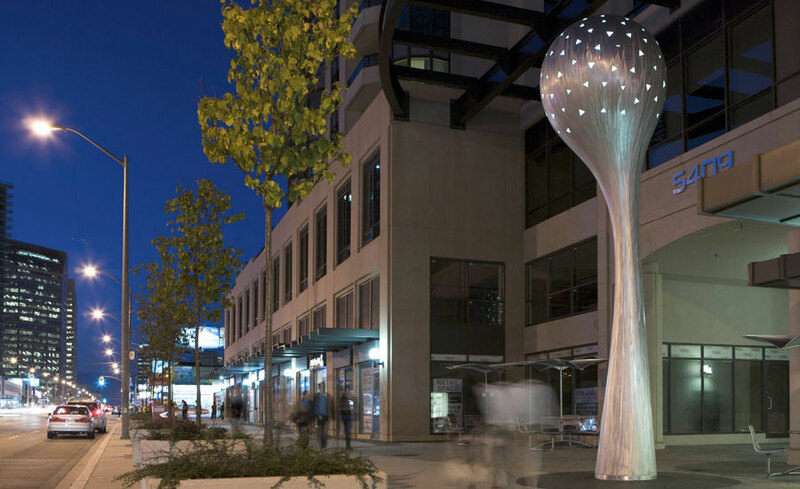 This multi-​component artwork maximizes public accessibility and visibility of the artwork through consideration of site conditions, built form opportunities and context. 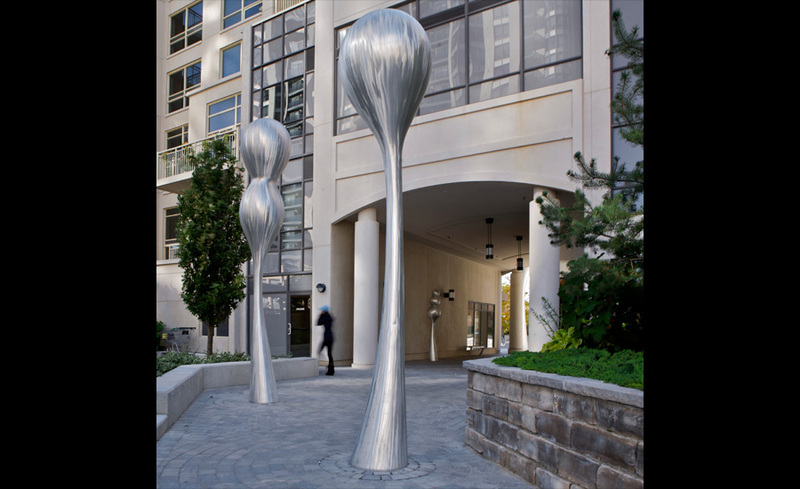 The artwork presents a strong presence on Yonge Street while the through-​block breezeway provides opportunities for a series of artwork elements that have been integrated with landscape finishes. The artwork complements the architecture, landscape architecture and urban design of the project. 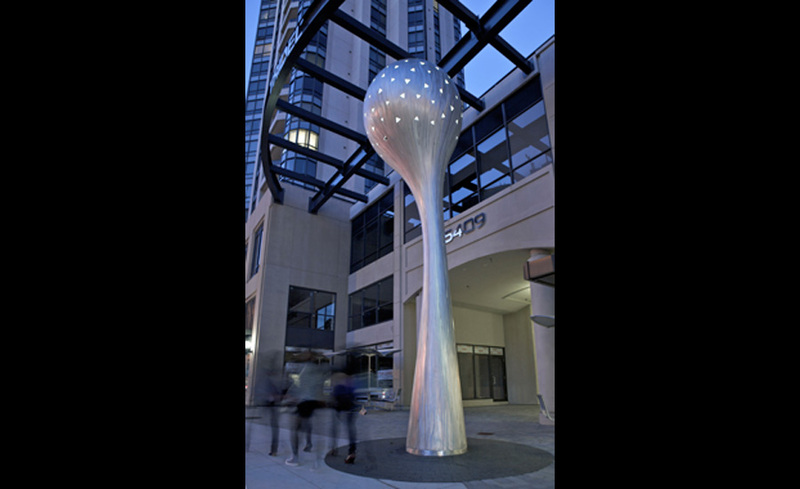 “Brad’s level of professionalism and experience has proven invaluable in delivering quality public art that enhances our projects for both our purchasers and the City as a whole.